Updated 8/24/16 – New info in italics. It’s a story right out of the movies: forgotten star gets a second chance at fame. Only this time, the star is actually a film – and the second chance is both a new restoration and a new book. But best of all: you get to be the hero. Very soon, film fans will get a chance to see a sparkling new restoration of KING OF JAZZ (1930), a seminal, two-color Technicolor musical starring band leader Paul Whiteman (who was born on this day in 1890). If the story ends there, it’s still huge news. 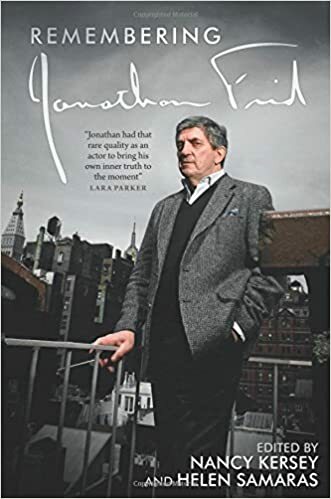 But even huger, a book about the film’s troubled history and redemptive restoration is also due this year, but only with your help. James Layton and David Pierce, co-authors of Dawn of Technicolor, 1915-1935, today launched a Kickstarter to fund the publication of King of Jazz: Paul Whiteman’s Technicolor Revue, a book that belongs on every classic film fan’s coffee table. The good news: on Day One, the project is already more than one-third funded. The bad news: if they don’t raise the the other two-thirds, there may be no book. Update 5/7/16 – With a little more than two weeks left in the campaign, the publication of “King of Jazz: Paul Whiteman’s Technicolor Revue” has been fully funded by 200 donors. A stretch goal has been added, as have additional premiums. For more info visit the Kickstarter page. WM: What is KING OF JAZZ ? 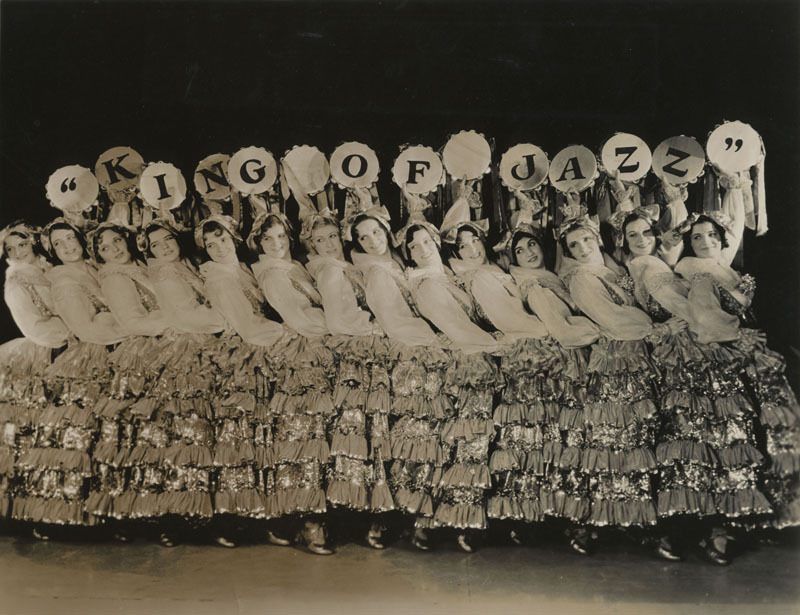 JL: KING OF JAZZ was one of a string of Hollywood revue films to come out during the brief musicals boom in 1929-1930. 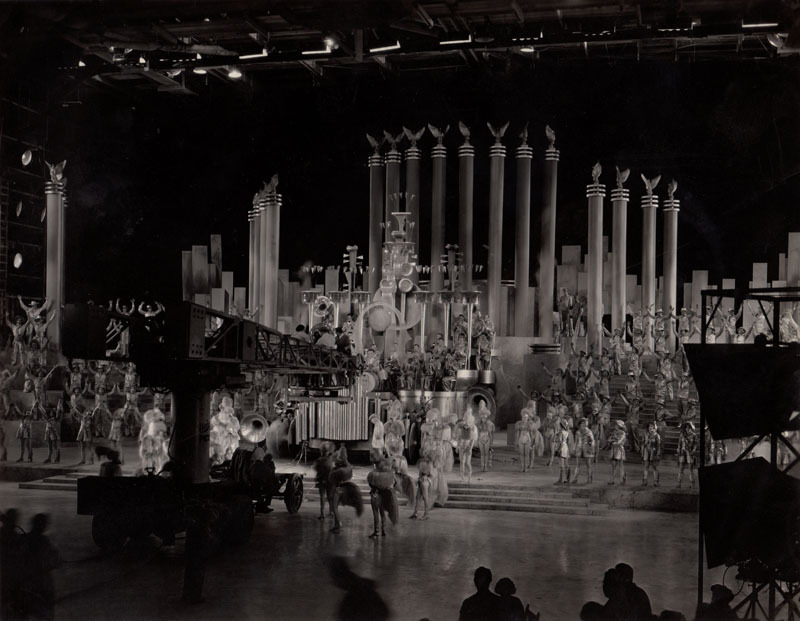 M-G-M had HOLLYWOOD REVUE OF 1929, Warners had THE SHOW OF SHOWS, and Paramount had PARAMOUNT ON PARADE, to name a few. Most of these were showcases for the studios’ existing contract talent. KOJ was one of the last to come out — in April 1930 — as it took so long to get made following a year of setbacks. The film’s original director, Paul Fejos was eventually replaced by John Murray Anderson, who came out west from Broadway. WM: How does KING OF JAZZ differ from those other films? 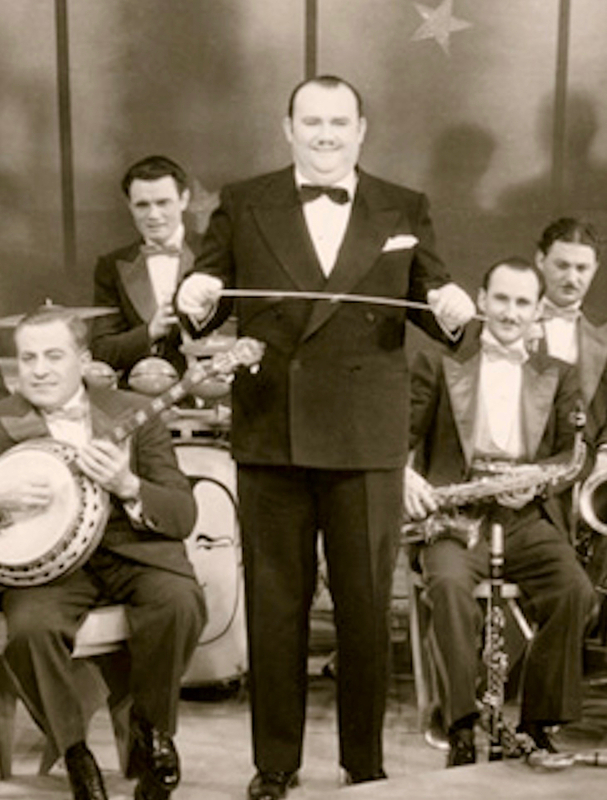 JL: KOJ is an oddity among film revues because the stars, Paul Whiteman and his orchestra, were brought in by Universal as the main attraction, and the film was then structured around them. Several of Universals contract stars appear — like Slim Summerville, Laura La Plante and Glenn Tryon — but Anderson gathered most of the performers from the cream Broadway and vaudeville. 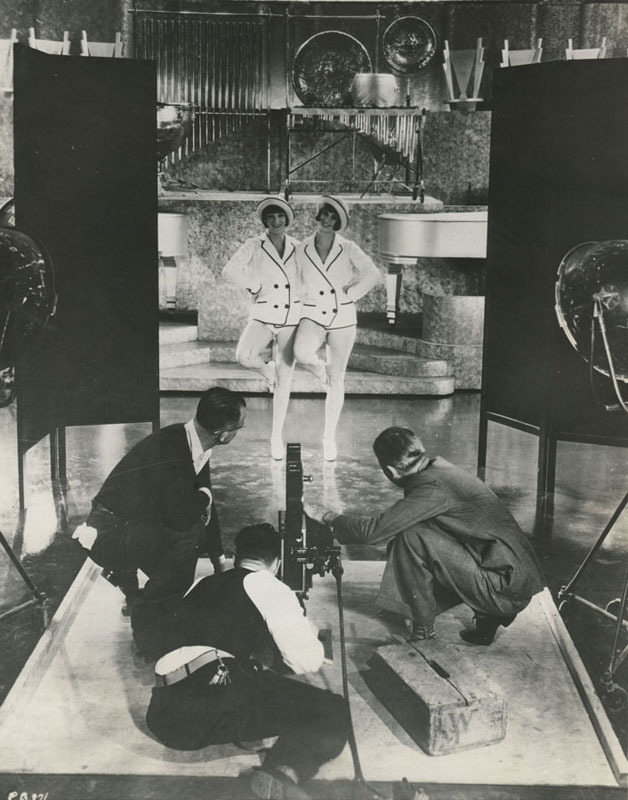 The end result is a unique mixture of the stage and screen — a cinematic interpretation of jazz music and stage spectacle, all in early Technicolor. The film is also of particular note as the screen debut of a young Bing Crosby, and the Russell Markert dancers, who later became the famous Rockettes at Radio City Music Hall. WM: Was KING OF JAZZ a big hit in its initial release? JL: KING OF JAZZ was so expensive to make that it struggled to return its production cost. Interestingly the film was more popular in its international release — it was simultaneously made in nine foreign language versions — than in the United States. Whiteman’s celebrity and the high production values undoubtedly helped attract foreign audiences. As the film still lost money on its initial release, Universal tried reissuing it in 1933 when there was a second wave of interest in musicals following the release of 42ND STREET. WM: Was the film lost (all or in part)? What were the circumstances of its rediscovery and its restoration? JL: Between the mid-1930s and the early-1960s no one was able to see KING OF JAZZ. It was effectively lost. It was not until a collector in England uncovered a nitrate print and copied it to 16mm that the film became accessible again. Some might remember 16mm screenings at the New York Film Festival, MoMA and LACMA in the early 1970s. Later, Universal identified the two-color Technicolor camera negative in its collections, but it was only 65 minutes long as it had been cut down for the 1933 reissue. 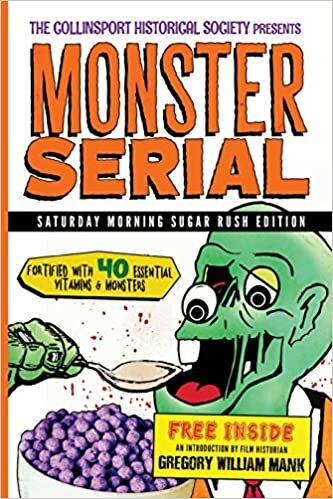 It was these two elements that were used for the 1980s VHS release (blurry clips of which are on Youtube). 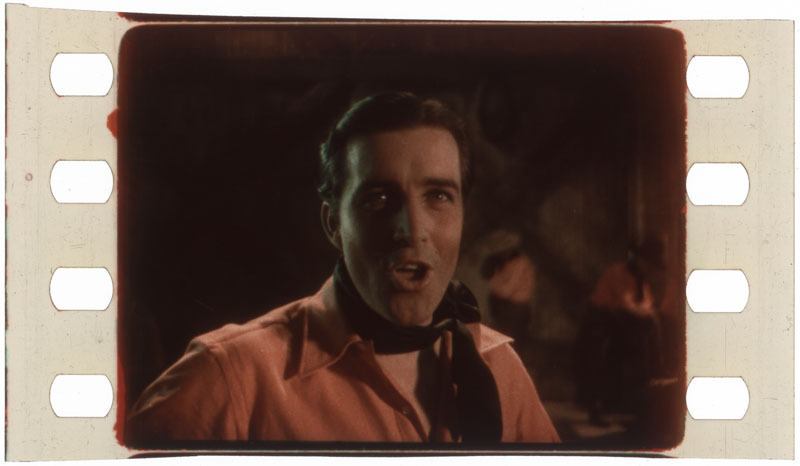 Both this nitrate print (now stored at the Library of Congress) and Universal’s camera negative are being used for the new restoration, and some additional footage — effectively not seen by audiences since 1930 — is being added back from print elements at other archives. WM: What is “King of Jazz: Paul Whiteman’s Technicolor Revue”? JL: This is the title of our new book. David Pierce and I had originally been working with Universal to document and write an article about the film’s restoration. But as we did more and more research were amazed at what we kept finding. We uncovered the film’s original production designs at Williams College in Massachusetts, incredible behind-the-scene photographs in archives and private collections, and we were very lucky that historians Richard and Diane Koszarski shared with us the research they had undertaken into Universal’s studio files in the 1970s, much of which is no longer available to scholars today. As such, our book is not only a fascinating history of the film’s influences, production, release, and restoration, but also a rich visual narrative with hundreds of beautiful high-quality illustrations. WM: Why did you choose a crowdfunding platform to finance publication? JL: The book is being published by Media History Press, an imprint of David Pierce’s Media History Digital Library, a not-for-profit organization. As this is MHP’s first publication, we need outside support to help to make the book a reality. We have already been successful in raising funds for the majority of the book’s pre-print costs — a huge thanks to Greenbriar Picture Shows and The Vitaphone Project! — but we need the help of the larger film fan community to get the book finished and printed. We opted for this route as we want to get the book to readers in a timely manner and to keep the book at an affordable price without cutting any corners on quality. WM: What is your funding goal and what will those funds finance? JL: We need to raise $15,000 to guarantee a limited print run for this book. These funds will support image clearances, professional book design, copyediting and proofreading, and printing costs. If we can raise more, we can afford even more images we wouldn’t otherwise be able to include, and we can enhance many finer details of the printing, including possibly adding embossed lettering on the dust jacket and illustrated end pages. Update 5/7/16 – A stretch fundraising goal of $20,000 will allow the book to include never-before-published snapshots of Whiteman and his orchestra members, reproductions of rare lobby cards, and behind-the-scenes stills. 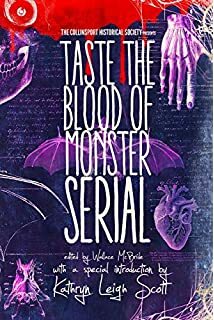 It will also allow for upgraded printing including a cloth-covered hard case, an improved dust jacket, and full-color end pages. WM: Beside a copy of the published book, what other perks do you offer? JL: We’re offering some great perks! First off, every reward package includes a signed copy of the book. Then if you are able to commit more we’re also offering KOJ T-shirts designed by Joe Busam, a copy of the now out-of-print The Dawn of Technicolor [now sold out], the chance to have your name printed in the book’s acknowledgements, and a special VIP invitation to the book’s launch party in October, with a chance to spend time with David, me, Ron Hutchinson of The Vitaphone Project, and the celebrated musicians Vince Giordano and the Nitehawks, plus other special guests. 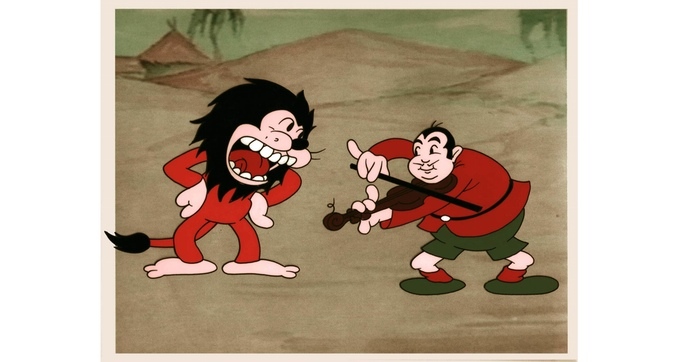 Update 5/7/16 – In addition to the book, donors of $100 can also select an 8″ x 10″ art print of a scene from Walter Lantz’s cartoon sequence, illustrated by Joe Busam and printed on high-quality archival photo paper. 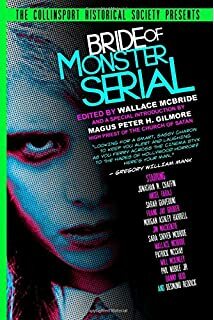 WM: Will the book only be available to those who contribute to the Kickstarter? JL: That is to be decided. We obviously want the book to reach as wide an audience as possible. If we reach our goal, we can guarantee we will get the book to all Kickstarter supporters. If we exceed our goal, then we can start thinking about printing more copies. If you want to 100% guarantee you will be able to get a copy, the best option is to pledge to our campaign. 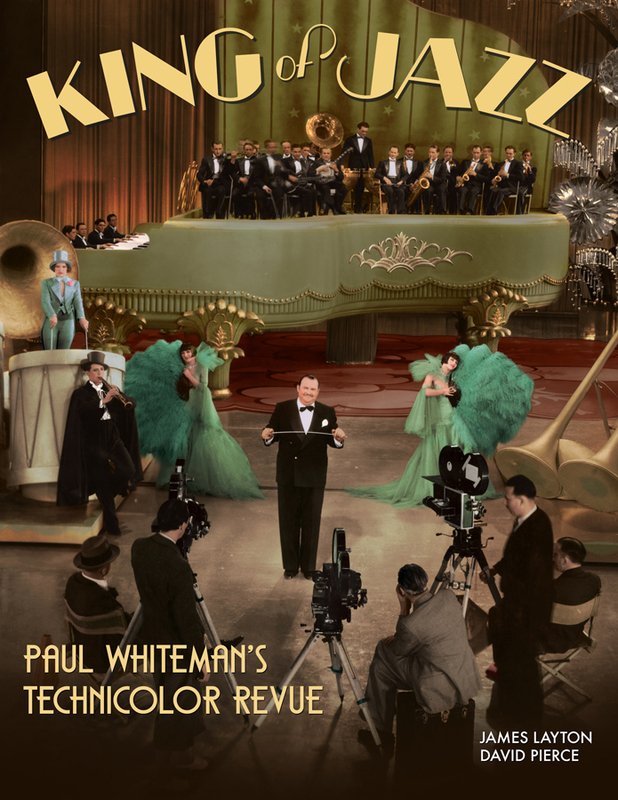 Update 8/24/16 – King of Jazz: Paul Whiteman’s Technicolor Revue will be published on November 21, 2016. You can pre-order a signed copy here. WM: Is this book only for scholars and aficionados of the era? Or will it appeal to all classic film fans? JL: The book will appeal to a wide range of readers, including classic film fans, music aficionados, and theater enthusiasts. WM: When and where will the restoration of KING OF JAZZ be available to see? JL: I’m delighted to announce that Universal’s new restoration of KING OF JAZZ will premiere at the Museum of Modern Art in New York City in May. It will be the opening night film in a series dedicated to Universal’s output under Carl Laemmle, Jr. in the 1930s. MoMA curator Dave Kehr is programming the impressive 32-film series, which will run for a month and will include the premieres of several new preservations and restorations from Universal. We then anticipate that the restoration will be seen at archival venues across the country. I’m particularly looking forward to catching up with the restoration a second time at Capitolfest in upstate New York in August. WM: What is about this era that fascinates you both? JL: Both David and I are fascinated by the brief period of Hollywood’s conversion to sound. It was a time of enormous transition and uncertainty, both for filmmakers, as well as the studios. The genesis, production and release of KING OF JAZZ epitomizes much of the widespread excitement around early musicals, but also aptly demonstrates the challenges that filmmakers faced. The film is a rare blend of cinema, popular music and the Broadway revue. It is brimming with ambition and artistry, and is definitely in a class of its own. For donate to the Kickstarter for “King of Jazz: Paul Whiteman’s Technicolor Revue,” and to receive a copy of the book, click here. For the Nitrate Diva’s coverage of this story, click here. This entry was posted in Classic Film, Museum of Modern Art. Bookmark the permalink. WHOA that movie! COOL Will. It’s, uh, already restored. Excellent article, by the way. I am elated over this wonderful news. THE KING OF JAZZ is a personal favorite, and its restoration is a dream come true. The burning question is… when will the “King of Jazz” restoration be available for home viewing in a contemporary format such as DVD or blu ray disc? ?